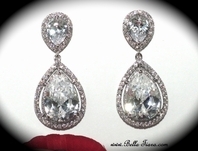 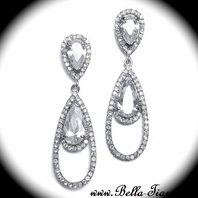 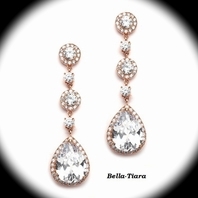 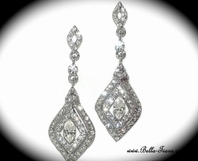 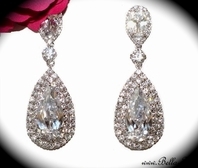 Description: A breathtaking cascade of the most dazzling clear cubic zirconia crystals you will see on a set of earrings! 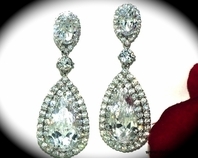 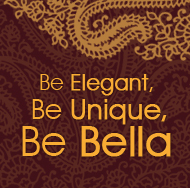 They feature a stunning compilation of round-cut and marquise-cut crystals that vividly flow down to a gorgeous pear-cut crystal and all glitter together in sparkling radiance. 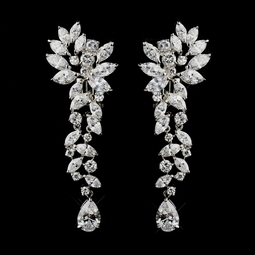 These will certainly stop everyone in their tracks on your big day and will coordinate perfectly with your white or ivory wedding dress.